Sabrina S. Baksh/Regarding BBQ Inc. Traditional Texas barbecue sauce is a well-seasoned mixture of tomato, spices, celery, onions, and garlic. It is somewhat old-fashioned when compared to popular sauces of today, which generally follow the Kansas City style. 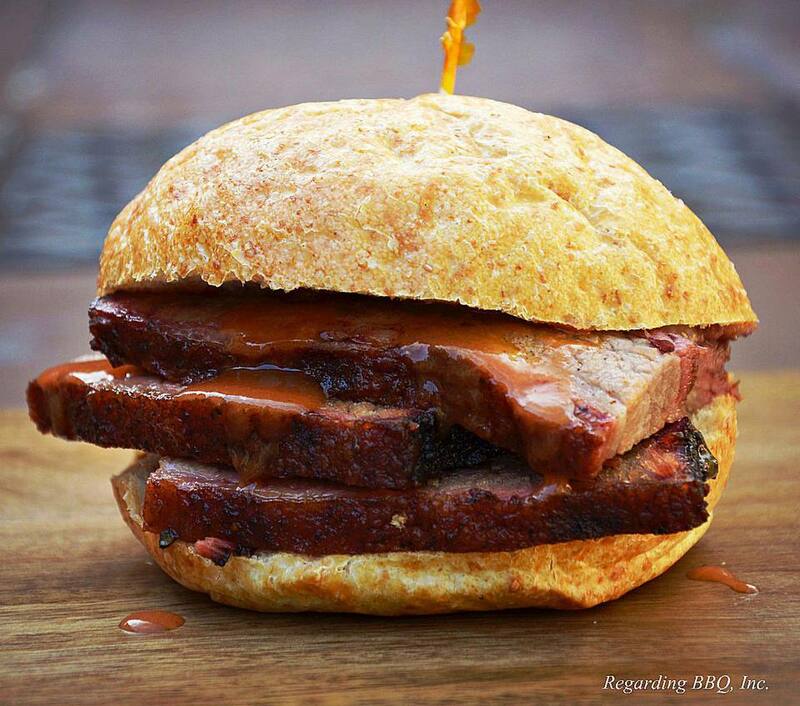 Texas-style barbecue sauce is thinner and less sweet. It typically includes vegetables as well as a beefy flavor from meat drippings or bouillon. This sauce takes a little more time but is definitely worth the effort with its rich flavor. It is perfect when paired with sliced brisket or on brisket sandwiches. This style of barbecue sauce was developed in Central Texas where they had access to good cuts of beef for barbecue. As a thinner sauce, it doesn't cover up the flavor of the meat itself. Let your barbecue shine with this classic sauce next time you smoke a brisket. In a medium saucepan over medium-low heat, melt butter and add the onion and celery. Cook for 4 to 5 minutes until the onions and celery are soft. Add the minced garlic and cook for only 15 to 20 seconds and no longer. Add the water and bouillon cube. Stir until the bouillon is dissolved. Add remaining ingredients (ketchup, cider vinegar, Worcestershire sauce, spicy mustard, honey, paprika, chili powder, salt, and pepper). Simmer on low for about 15 minutes, stirring occasionally. Remove the sauce from the heat and allow it to cool for 15 minutes. Pour the sauce into a blender or food processor and blend until smooth (about 15 to 20 seconds). Use the sauce immediately or store it in an airtight container in the refrigerator for up to seven days after preparation. Warm the sauce slightly before using. You can use this sauce for any kind of meat, including beef, pork, or chicken, or instead of commercial barbecue sauce for hamburgers and other sandwiches.